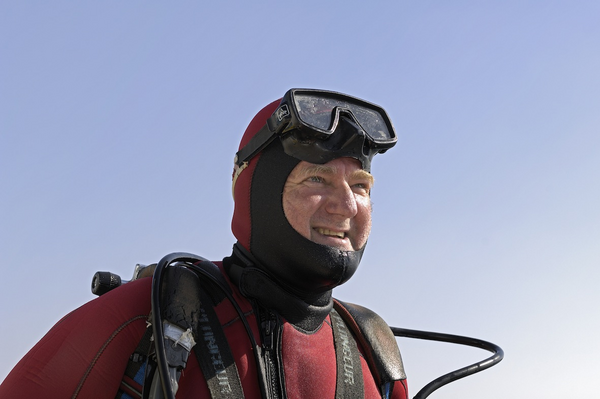 Bernard began diving at the age of 24 as a hobby. His first dives at sea were a revelation and He developed a real passion for it quickly qualifying as a diving instructor, while still working as a construction mananger at a large building company. After more than 900 dives all over the world, in 1993 Bernard had the opportunity to participate in the archaeological excavation of the wreck of the San Diego, directed by Franck Goddio : another revelation ! He never turned back and became a full time diver instead, even moving with his family closer to the sea in southern France. Bernard then underwent the training of INPP in order to qualify as a professional diver. After different diving jobs, he became a permanent member of Franck’s team in 1996. “Participating in exceptional archaeological discoveries from sunken cities in Egypt to lost ships in the Philippines or in Cuba is a childhood dream come true, too exceptional to describe it with words” he says. Since the Royal Captain expedition in 1998, Bernard’s responsibilities have also included the organization and preparation of Franck’s expeditions as Logistics Manager: another great challenge.